Now available on SAP; the long awaited exclusive sneak preview of part two of The Vengeance Crusade: Allegiance. This exclusive release is part of Sakura Angel's birthday special in commemoration of her birthday this week. As a thank you to all of her devoted fans, the preview of the series is now available here. Part two of TVC will be released in early 2014. Please enjoy and feel free to review. Now available here in its new home on SAP: The Vengeance Crusade! Re-live the heart racing, adrenaline filled journey of a group of teenagers led by the half-demon named Kei as they try to find his kidnapped sister while joining a band of rebels looking to take down the Empire that had oppress them for so long. You can view the story here in our new section for the Secret Series. Enjoy and don't forget to read Secret Possession and Secret Obsession (you must be 18 years or older to view them). Just added! There's a new section for fanfictions on this site that are adult-oriented and one of the stories that are featured is called, Secret Possession. Secret Possession is currently featured on AFF.net and Dokuga and has received many positive reviews! In order to access this section, just click here (age verification is required). More chapters and stories will be added soon as they will be released, but please enjoy the newly added section in the meantime! Coming soon to YouTube and iTunes, The Vengeance Crusade's official audiobook! The audiobook will be completely free and will be used to promote more votes for the series on Wattpad! The contest is still going on, so please stop by and check out the story...perhaps give a vote or two! Hopefully, this series will be turned into a hardcover novel! So please join the crusade and thank you for all of your support, fellow Crusaders! Now on Youtube; the English subtitled version of Morning Musume's latest single, titled Brainstorming. This single is also Reina Tanaka's final one in Morning Musume before she begins her new career in a new J-pop group called LoVendor. Please be sure to buy the new single to support Morning Musume! Now on Wattpad, the original novel created by Sakura Angel and collaborated with Chanda is officially here! However, we need YOU, the audience, to help pick our story as the Grand Prize Winner for the Watty Awards 2013 Contest! So please visit our new page here dedicated to our new novel and to find out how you can have a chance to vote for The Vengeance Crusade in the Watty Awards Contest! We also have some goodies waiting for you too! We have just posted the English subtitled version of Wakuteka; Take a Chance! Be sure to check it out here or on our YouTube channel! Make sure you buy the album when it's released on October 10, 2012! The results for the 2012 public auditions are here! It was a tough call for some of the auditions, but our Judge Panel finally came to a conclusion and decided on our new cast members! We like to thank everyone for their participation and for the official cast list, including the results of the public auditions, please check here! 2012 Public Auditions: Now Closed! The public auditions for our new InuYasha series are now closed. We would like to thank everyone for their participation and the results will be announced this Saturday, June 30th. The auditions will be judged by our very own Judge Panel and each participant will receive a scorecard based on their performance. Please check back here to see the winners of the audition! Here is the English subtitled version of the newly released Morning Musume single: One•Two•Three. Be sure to buy the album when it is released on July 4th! The lyric translators are Rumi and Sakura Angel...enjoy! It's officially started! 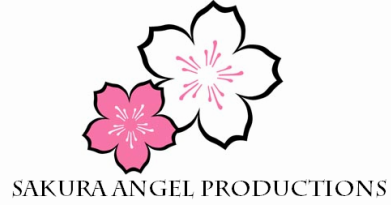 From June 1st - June 24th, SAP is holding auditions for our new InuYasha series. We have been scouting for the best amateur talent around and now it's almost time to record! So if you would like to participate in our series, please check out our guidelines and open roles. Exclusive: The New Characters of InuYasha; Revealed! First of all, we just want to say how talented and amazing our new Art Director, sscindyss, is! She has given us a few sketches to look at for the new character designs, and we must say...they're pretty accurate and stunning! In order to view these sketches, you must follow us on Twitter or subscribe to our YouTube Channel in order to receive the private link! You can also register on our forums for the exclusive link to the content! Thanks, sscindyss! We LOVE the artwork! Song Choice Selections are Now Open! So, in this contest we really need help from the audience! You pick the songs for Season 1 of this series...and we just might play them! You can submit as many songs as you like and when the time comes to vote for a song...the song with the most votes from the audience wins; therefore it will be our opening or ending theme song! For rules of this contest or just to submit your song, click here. To view the list of song choices, click here. As a gift to you, I am posting up the original trailer preview as well as sample chapters from the fanfiction series that inspired the current Tales of the Four Noble Houses project. It was called, Love in the Ice which was a fanfiction series created by me a year ago, and now it has found a permanent home on this website! I hope that you enjoy the samples, as they are a PG-13 rating. If I post any further chapters...I can't guarantee that you'll maintain your innocence, as it was a NC-17 fanfiction. Congratulations to our new Voice Acting Team! Our Voice Acting Team is lead by Vocal Director, Hiiragi Storm for InuYasha: Tales of the Four Noble Houses. We have recently added several new voice actors for the series through private auditions and they do not disappoint! So we would like to take the time to say thank you to the voice actors who have decided to join us on this project! We're gathering our team, scouting for talent and drinking endless cups of caffeinated beverages, as SAP presents its first official project! InuYasha: Tales of the Four Noble Houses will be a sound episode series created just for YouTube and iTunes for your enjoyment! Thousands of years ago, Japan was split into four even sections to divide the country for four demon lords to rule Japan together, rather than just one individual with all of the control; the western lands, the eastern lands, the northern lands and the southern lands. Each of the lords lived in very large castles that looked over their sections and those castles were called the Noble Houses of Japan. Humans and demons alike, abide by the laws, paid tax money, and worshiped them; although there were problems arising between every generation of a House lord. Eventually, a generation of lords quarreled, resulting in the northern lord being sealed under a spell, and the southern, western and eastern lords becoming fatally wounded in that process. Lord Sesshoumaru of the west, Lord Junsu of the east, Lord Jejun of the north and Lord Yuchun of the south. 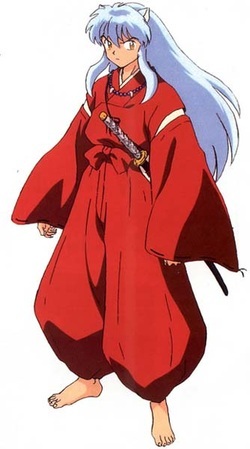 With the half-demon, Naraku constantly gaining power each day, the Demon Council gathers the current lords to warn them of the possibility of the Houses falling under his control. It's a race against time to stop Naraku, and the demon lords receive help from an unlikely group of travelers that includes a half-demon, a demon slayer, a monk, and 4 high school girls from the future. But will it be enough to destroy Naraku?